Coffee Brake: As the Northeastern part of this great country comes out of its annual period hibernation, one of these best things to look forward to are car shows. It might be a weekly cars and coffee, or an annual pilgrimage, but gearheads from San Diego to Madawaska shake the snow (or sand) off their boots and prime their carbs for the start of car show season. What do you look forward to? Personally, some of my favorite car shows are the local weekly gatherings that attract a random group of folks. The Friday afternoon gathering at Ruby's in Redondo Beach that runs from spring through fall is a great example of that small town car show feel, even when you are in a big town. 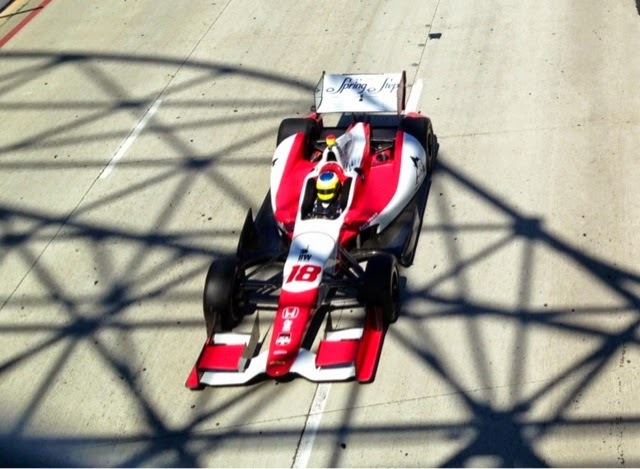 The Long Beach Grand Prix (April 17-19, 2015) isn't a car show, but it is a great place to get your fill of racing exhaust fumes, and the convention center is filled with all manner of show cars and stuff to check out. The best part is that you can get totally free tickets to the Friday practice session at local grocery stores. 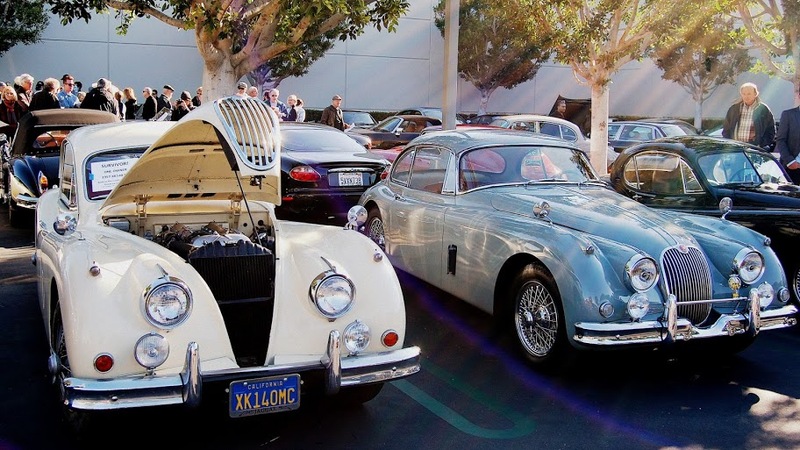 This year on May 16th, the 3rd Annual Carroll Shelby Tribute Car Show will take place at the Carroll Shelby International Inc headquarters located in sunny Gardena, CA. I had the pleasure of attending the first annual event in 2013 and it was small, intimate, and filled with all manner of Shelby classics. 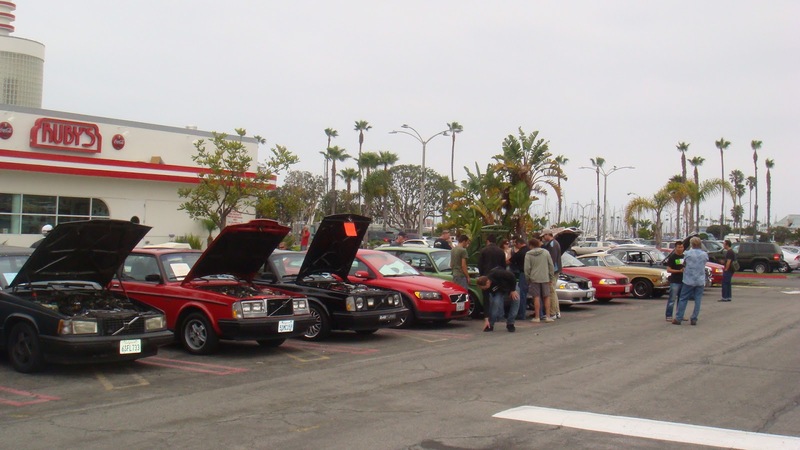 Irvine Cars and Coffeewould absolutely make this list -- it was a wonderful gathering of classics, held in a Ford/Mazda parking lot in Orange County, CA. Unfortunately the event has run its course and was officially canceled due to lack of location, but the C&C facebook page claims they are looking for other spots. What car shows, gearhead gatherings, or local events are you looking forward to? I'll miss the Woodward Dream Cruise this year! Nothing like almost a week of driving up and down in the midst of inredible cars from every manufacturer and every decade. 16 Miles of rolling autorama! Google street view used to take their street shots during the cruise, but it looks like they pulled that down. I live 40 minutes from Carlisle Pa., so I look forward to spring at Carlisle and the Import and Kit Car Nationals. I'll also pop in on the Carlisle Ford show too. I also love the Hershey vintage hill climbs then I wind up my season with the mega Hershey fall show and swap meet. I bloged about the Hershey show with some pictures of the event here: www.automissive.blogspot.com, if you haven't been to Hershey and are on the east coast, I highly recommend it. I get pretty board at car show as a participant and as a spectator. I love cars I just don't like sitting around all day. My favorite "car show" has to be the pits at laguna seca historics. Race gas, dripping oil, multi million dollar track beaters, doesn't get any better. I'm looking forward to spectating at the Olympus Rally in May. I haven't been to a stage rally since the Olympus was part of the WRC in 1987. I think I might also drive the GTV to this little I-car get together at one of the local wineries later on this summer. How are the cars and coffees in the rest of the country? In Nashville, it has pretty much devolved into either a) 17 year olds bringing hoodless, primered Honda Civic hatchbacks with a 16JDBVGOBED-JDM-YO swaps, or 60+ year old millionaires who talk with clinched jaws trying to outdo each other with exotica, but God help you if you try to strike up a conversation with them. None of the cool random Volvo fanatic types who you guys show in your pics. Year round, Early Rodders is a blast. In the parking lot(s) at the United Artists 8 Theater in La Canada (CA), Saturday mornings early to keep the riff raff (aforementioned JDM-yo types) at bay, usually clears out by 9am. Pretty eclectic group, no real marquees, usually really cool people who don't mind folks drooling on their cars. A few pre-war cars, Bentley's, Jag's and a Lincoln or two thrown in for good measure. All driven, no trailers. Good time. Mister T. Brougham, do the old rich guys sound like this? Participate in the Lane museum events if you are near Nashville. Exactly....nailed it. ;-) And yes, I love the Lane museum.....great people over there. Tomorrow I'm going to the Easter Show in Forest Park here in St. Louis. Something about dozens of horseless carriages (plus about 20 other classes) lining up at the site of the 1904 World's Fair makes a lot of sense. The funnel cake is good too. In between other shows and events, I also plan to hit up as many unorganized Friday night meet-ups at area Sonic/Burger King/Hooters parking lots. You meet some real salt-of-the-earth people there. Oh man don't remind me that the LBGP is next weekend. Save being out of the country on business on three occasions (not by choice - deployments), I haven't missed one in recent memory. This year we'll be missing it for the first time in 4 years. Missing it for a good cause, childbirth [due date is GP day! ], so no complaints there! Looking forward to next year, kiddo's first GP! Lime Rock Historics is another great one. Buddies and I would roll 7 deep in the ol' Volvo wagon (w/rear facing child seats) and head down there during high school. Saw my first Sunbeam Tiger there. Saw and heard I should say. Bimmerfest, if you can look past the douchebrofest and sea of flat brims, "designer" wife beaters, Drakkar Noir and neon wayfarers, it's actually a really good time. All of these events sound like a ton of fun. I haven't been to a show or meet for years because my schedule has gotten so busy on the weekends. I just don't have a Saturday or Sunday! Poor me. Break out the tiny violins. It's my pity party and I can cry if I want to. I haven't been to the LBGP in a long time. Went a couple years when it was still an F1 race, but not consistently after. 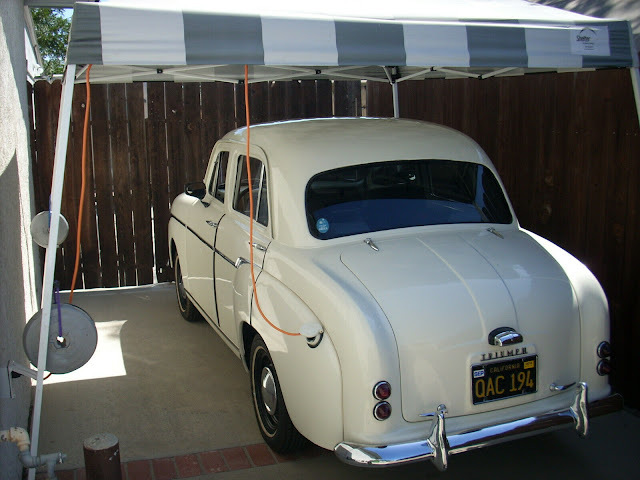 I'll probably be at the Monterey Historics, might try to sneak down to SoCal in a couple weeks for the Ford show at Knott's, not really sure what else at this point. Gotta say, I thought we had it pretty going on here in Southern California for cruise nights and cars-n-coffee and big car shows, but the guys in MI really had it down to a science. They have a Cruise-News for all the events during the cruise season from little corner venues at the local burger shop to major car shows like Frakenmuth. Gotta admit, I suffer from short attention span theater too. I walk them pretty quick and only stop at the ones that really catch my eye. Never was good at parking my car for the whole day and just sitting around. What timing. I am now baiting the boys out of bed with the smell of frying bacon so we can make the drive to the annual Easter weekend Draggins Car Show up here in Saskatoon. And in the spirit of DTo, we will be taking my $4000 V12 Mercedes. It is not show worthy but it seats us all, goes like hell and makes beautiful noises. Any NorCal DTers want to do a meetup at Dream Machines on 26 Apr? Any summer weekend at the Owls Head Transportation museum in Owls Head Maine is usually a good one. I lived about 15 minutes from Irvine Cars & Coffee and I miss it terribly. I still recall the first time I went: i saw 3, YES 3 Vectors! And my first Veyron. It felt like my car magazines came to life. Since closing, it looks like the best replacement has shaped up to be in Aliso Viejo in the mall on Aliso Creek. It's growing and growing.